I feel like I've had to reintroduce myself a few times this summer. But, once again I'm back, and hopefully for good this time. Our family has had an unexpectedly busy summer. I feel like we haven't been in a normal routine since the second week of summer vacation (way back in the beginning of June). I think all has settled now, and we'll be able to be a bit more scheduled these next few weeks before we have to say good bye to summer vacation. Today's post is so thrilling to me! Two of my favorite online/digital worlds have collided. Fonts and PicMonkey. I have a slight font addiction (check out my font Pinterest board here) and ever since I entered the blogging world, PicMonkey has been my go-to free online photo editing stop. Well, a few months back I received an email from PicMonkey with a few of their updates that were in the works. Adding your own fonts was one of them. I was excited when I read it, but once it actually went live and I was able to try it, I was in heaven! PicMonkey always offered great fonts, but now I have access to my larger-than-life font library (dingbats included)! The possibilities are completely endless!! When you begin editing in PicMonkey you'll see a tool bar on the right hand side of screen. Click on the 'Tt' icon for text. Next, you'll see this box appear. It will have an 'Ours' and 'Yours' box close to the top. Click on the 'Yours' box, and presto! 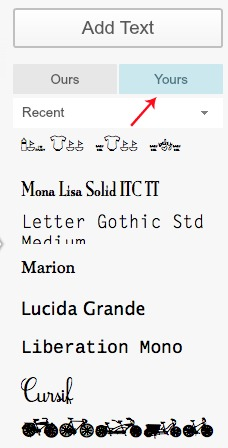 There are all of your fonts right before your eyes. It's really that simple! 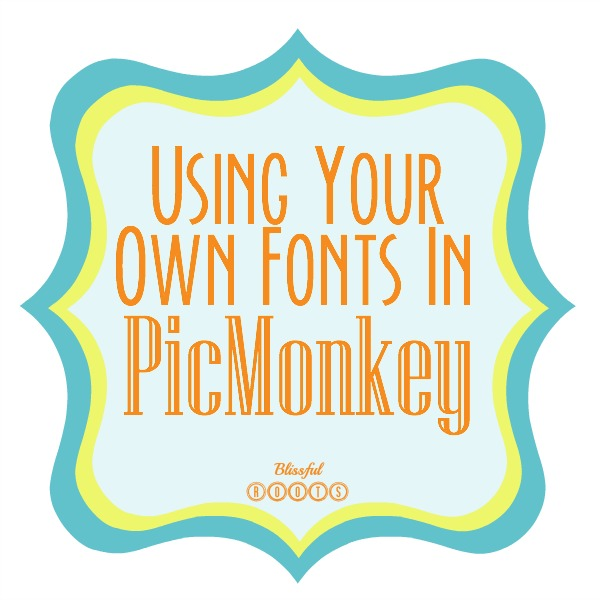 Any font you have in your word processing program will show up in PicMonkey. I honestly can't tell you have exciting this is to me! I've been creating like crazy with it. 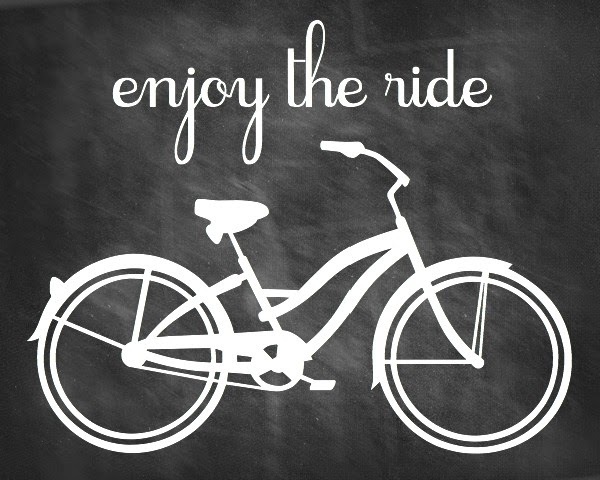 This is just one example of something I created using my own font Cursif, and a bicycle dingbat (which were both free!). So quick and easy to create, yet perfectly beautiful! If you have a free minute or two today, stop by PicMonkey and give it a try. If you're anything like me, you'll get lost in it all, and not want to stop! Thank you, yet again PicMonkey! Summer is hard for blogging....I feel the same way, Brooke! Thanks for this post - super helpful!